Best known for his large-scale compositions, Leonard Bernstein also wrote intimate works for his own instrument, the piano. 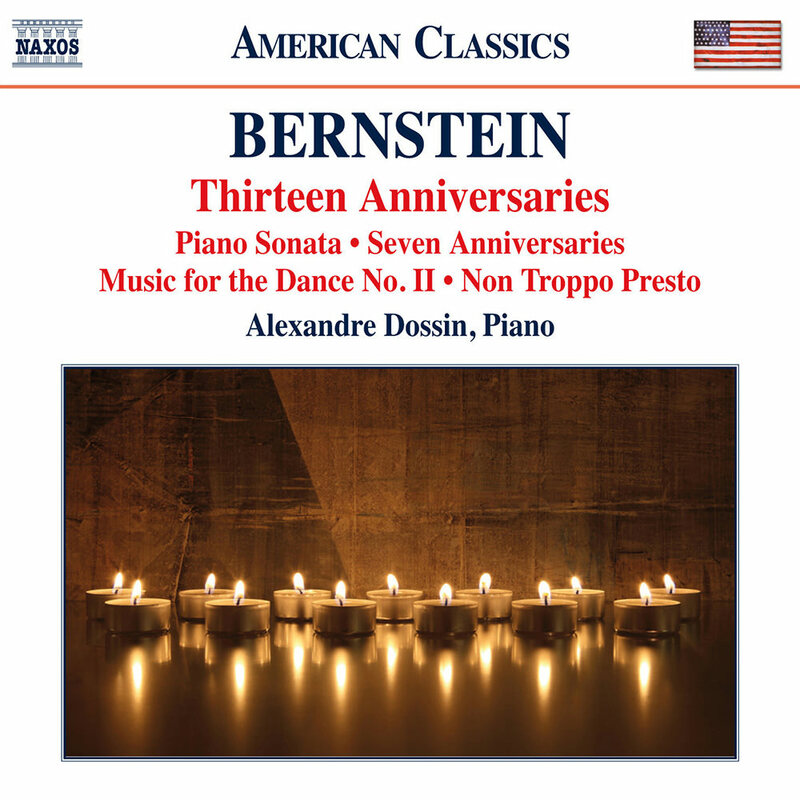 On this album, award-winning Brazilian-born pianist Alexandre Dossin performs several of Bernstein's piano compositions including the sequence of Anniversaries, brief, deftly evocative vignettes written to celebrate Bernstein's many friends, colleagues and family members. The programme includes two world premiere recordings. Publisher: Boosey & Hawkes Music Publishers, Inc.